I can’t think of anything much more frustrating or confusing for a cat parent than a cat who doesn’t like to use the litter box. As a matter of fact, most of the questions I get asked about cat care deal with litter box issues. There’s no doubt about it – cats are finicky creatures. They like things a certain way, and that includes the area where they do their business. 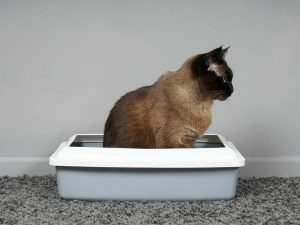 I spoke with Liz Bales, feline veterinarian known as “the Catvocate” about this and she offered the following four “pro tips” cat parents need to do to keep their cats using their litter box. 1. Keep a clean litter box. 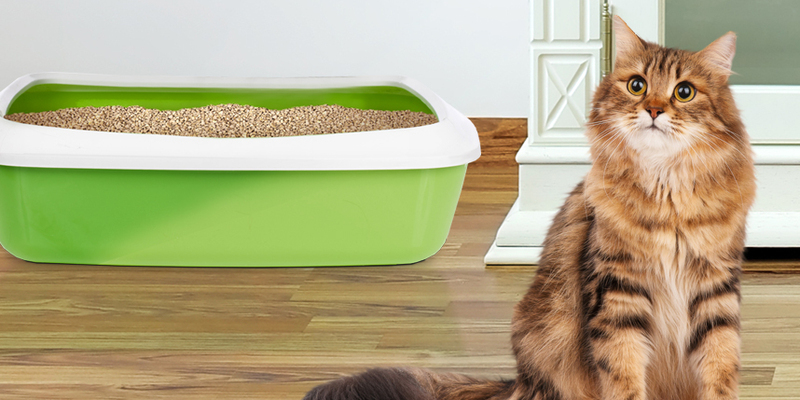 A cat’s litter box should be scooped out at least daily, and possibly more often for multi-cat families. In addition to daily cleaning, changing the litter at least once a month and washing the litter box itself will help to keep it smelling fresh and encourage your cat to use it faithfully. Note, when doing your monthly box wash out, don’t use citrus-scented cleaners or your cat may be repelled by the smell and boycott the box! 2. Find a litter they like and stick to it. As I’ve shared with you before, World’s Best Cat Litter is the only thing we use at my house. Dr. Bales and I agree that among the many benefits of this natural and light-weight litter, it’s long lasting so one bag will last one cat for 30 days! You see, it clumps so well that when you scoop it daily, you don’t have a lot of wasted litter. And (most importantly) my cat Olivia likes it too. 3. Placement of your litter box is paramount. Cats prefer a “master bathroom” just like we do,” says Dr. Bales. If you squeeze the box into a tight corner or hidden area because you want to hide it from view of visitors, your cat may feel trapped or boxed in. Rather, consider moving the box to a more open area where your cat can see or hear the comings and goings of other people or critters in the home. 4. Have enough litter boxes! While we’d all like to have one litter box at most, for every cat, you should have one box, plus one (1+1) in your home. So, that means two boxes for one cat, and three boxes for two cats and so on. Place them in different areas of the home, not all lined up together. Cats like to have privacy and options when doing their business! If you follow those four pro-tips, you can prevent the majority of litter box issues from starting in the first place. Now, being a pet lifestyle expert, I thought I had my act together with our cat boxes. 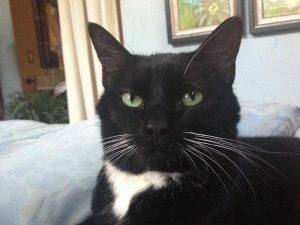 Until recently, we’d never experienced litter box issues with our cat Olivia. But every once in a while, cats like to mix things up a bit. About six months ago Olivia, suddenly started pooping and peeing outside her litter box. We keep Olivia’s litter box in our master bathroom. We even built a small enclosed cabinet for her years ago, to give her some privacy, and to hide it from our view. (Now I realize that’s not a good idea). Olivia used her litter box faithfully for years, but out of the blue she suddenly started doing her business on my bath mats! This would have been bad enough if they were just plain old, everyday mats. But what made it worse is that these are really nice, expensive bath mats. I splurged on them about a year ago, and they are super plush and luxurious. Needless to say, I was stumped. I couldn’t figure out why Olivia would choose to use my bath mats when she had a perfectly good litter box less than five feet away. I keep her box meticulously clean, and nothing else had changed that should have made her suddenly dislike using it. I knew it was important to wash the bath mats with a cleaner that would take out the smell. So I would wash them with a cleaner made especially for pet odors. But Olivia kept returning to the scene of the crime. It got to the point where I was laundering my bath mats 2 or 3 times every week. About that time, I took Olivia to visit her vet, Dr. Cole at St. Francis Pet Care Center for her routine senior wellness checkups. He asked if I had noticed any behavior changes, so I told him how she now likes to go to the bathroom on my beautiful new rugs. Is her litter box plastic? I answered “yes” to plastic and explained it was about three years old. I still wasn’t sure what this had to do with Olivia’s bathroom preferences. She’d been using the same litter box consistently for quite some time before our problems started. And since I thoroughly clean her litter box inside and out, every month when I change out her litter, I didn’t know why the age of the box should matter. Dr. Cole explained that after a while plastic boxes can absorb odors that are impossible to eliminate, despite your cleaning regimen. Over time, they get to the point where your cat just hates the way it smells. So, he suggested that I try buying Olivia a new litter box. I went right out and picked up a new litter box. I purchased the Stay Fresh litter box by Petmate that has antimicrobial protection. Now that I know how sensitive Olivia’s nose is, I want all the odor protection I can get! 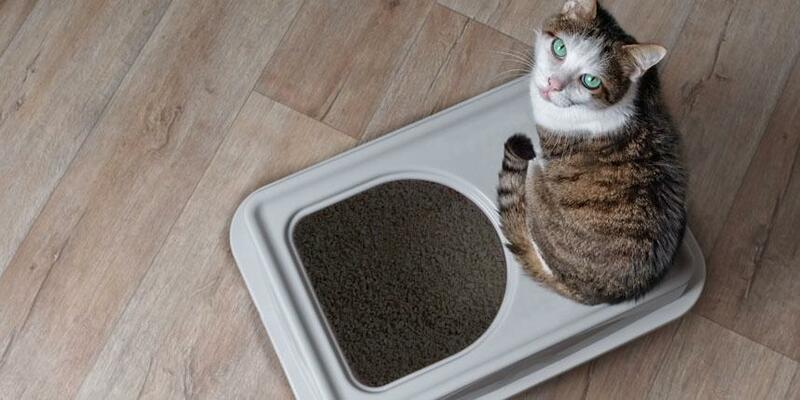 I also like that this litter box doesn’t have any 90° angles, so it’s easier to scoop all the way to the edge. While I was at it, I also bought a new scoop. I didn’t get anything fancy — it looks kind of like a curved spatula. But it’s the perfect shape to get every last clump of litter out of the corners of the litter box. 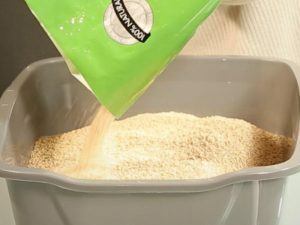 I brought Olivia’s new litter box home and filled it up with World’s Best Cat Litter Zero Mess formula (twice the clumping power) and even better odor control. To finish off Olivia’s litter box setup, we opened the door to the cabinet so she can see better from the box. I’m happy to say that Olivia hasn’t had a single accident since that change. She’s back to her old, faithful litter box habits, and I can once again enjoy my nice cushy bath mats without worrying about Olivia leaving her mark on them. 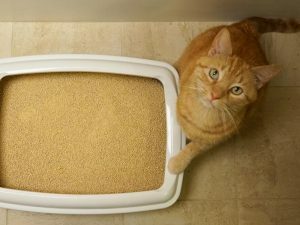 We tend to choose what’s best for us when it comes to the litter box, but our cat’s preferences are more important if we want them to use their box faithfully. 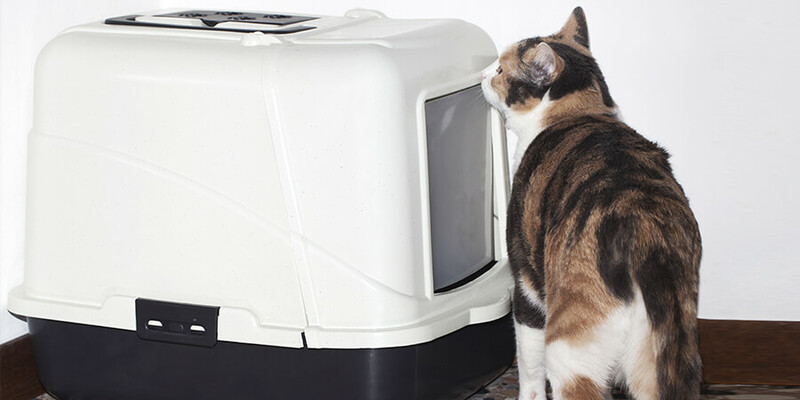 Certainly, there can be a multitude of medical or behavioral reasons why your cat is not using the litter box. 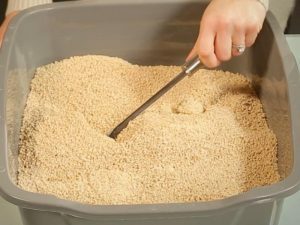 If the above tips don’t work to improve your cat’s litter box habits, take your cat to the veterinarian to determine if health factors could be causing the problem.